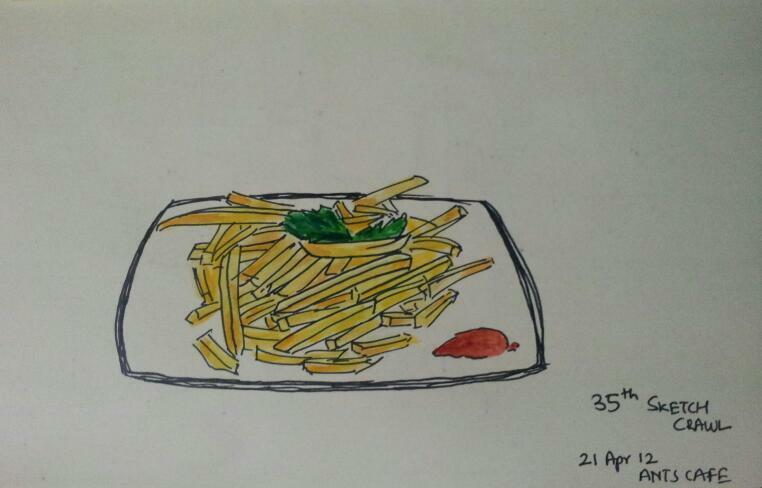 It was a fun day sketchcrawling today.. We started at Ants Cafe in Indiranagar. 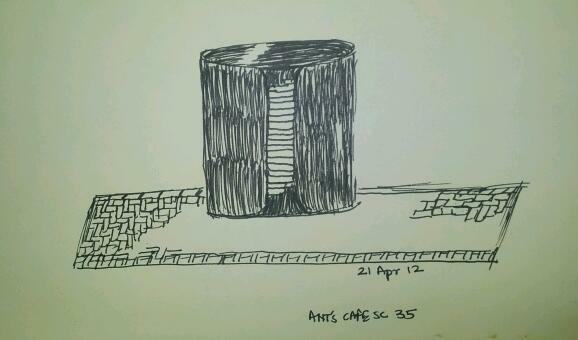 Everyone did sketches of buildings, trees around and of the food we were ordering.. We were lucky enough to find a model in Asing, one of the cafes waiter.. Later we went to Costa Coffee before signing off..
Black Pottery at Ants Cafe..
Last edited by rohit on Sun Apr 22, 2012 10:41 am, edited 2 times in total. 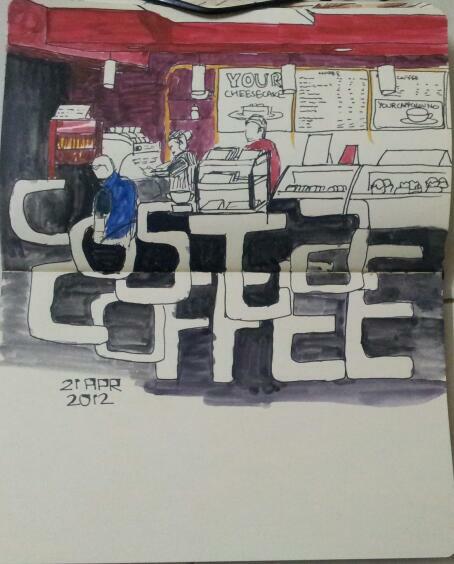 Loads of fun sketching at the Ants Cafe and Costa Coffee in Indira Nagar, Bangalore. It was fun to draw in this side of town. 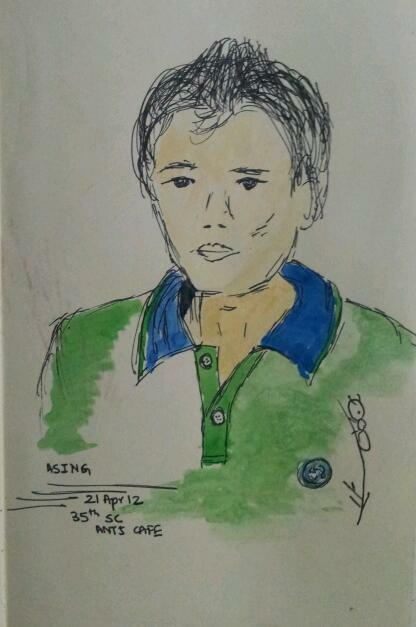 And the cafe guys were patient enough while we prolonged our stay scribbling. Cant wait for the next Crawl! I love these tbeautiful results, Congratulations. Beautiful results everyone! I love these Costa Coffee, Russell Market, The bus trip to Ants Cafe, House near Ants Cafe x2 especially. Great results everyone. I love all the portraits. Nice sketches Somesh.. 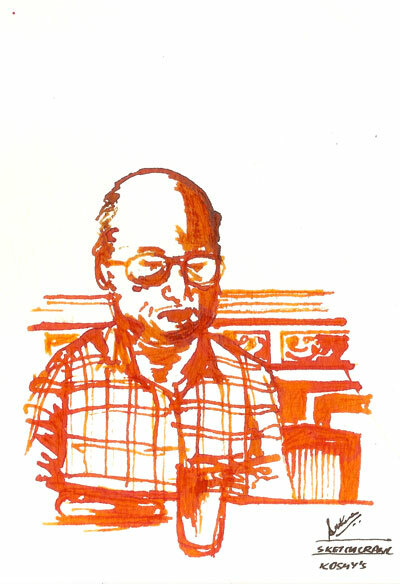 Thanks for the suggestion as well, have changed the subject now..
Prabha, never got to see the bus sketch.. come out very nice..
Gorgeous sketches, guys! very colorful. All these sketches are fantastic. Congratulations. Thanks Elfine, Letendre, Kumi, Sue, Niechee and Qnasil for your kind comments! #Rohit: Thx. Forgot to show you the bus drawing. Your sketches are great...love the costa coffee one! 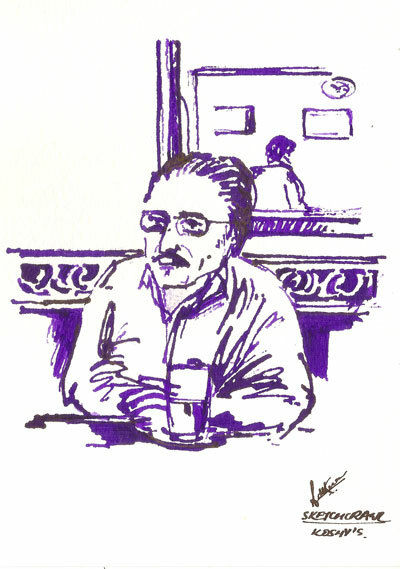 Ciao in the next SketchCrawl! Thanks Prabha. I really like the new sketches here. 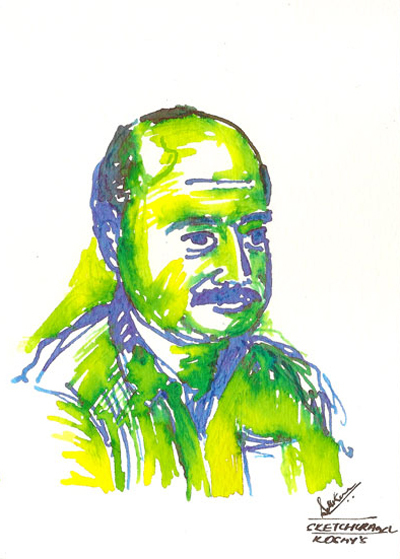 Surendra's portrait has come out so well. Great work by Adithya and Rashmi too. Wow, cool results Bangalore team! It's interesting seeing all the different styles and takes. Really enjoyable, thanks for posting them up!